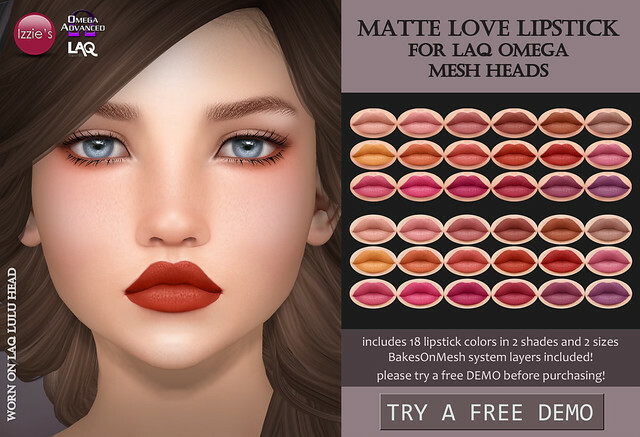 Izzie’s is offering Festive Shimmer Eye Make-Up and Shimmer Lipstick at the Tannenbaum Holiday Market. 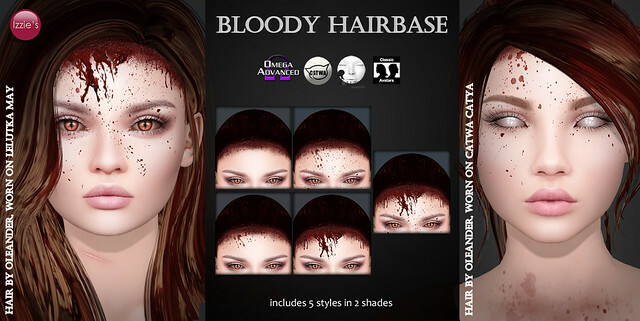 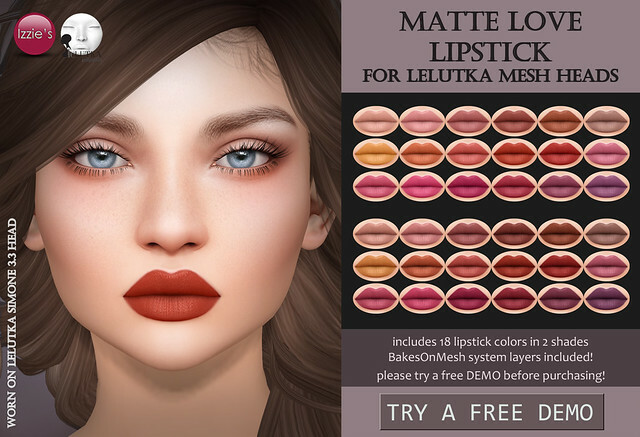 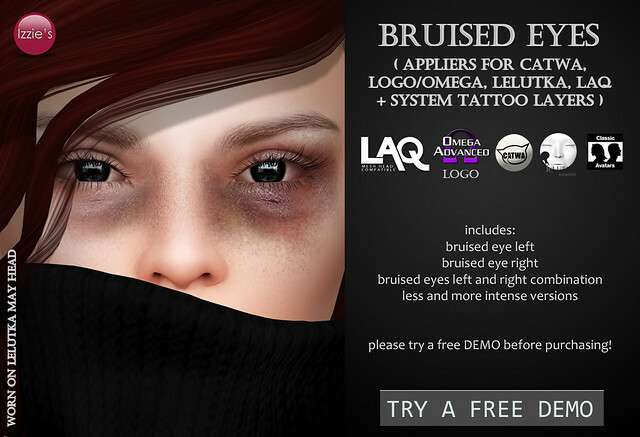 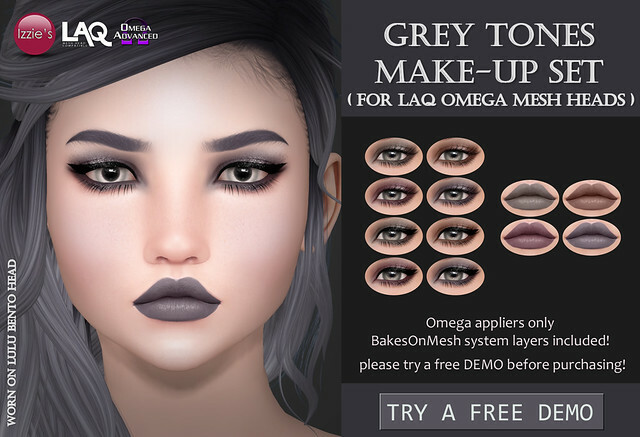 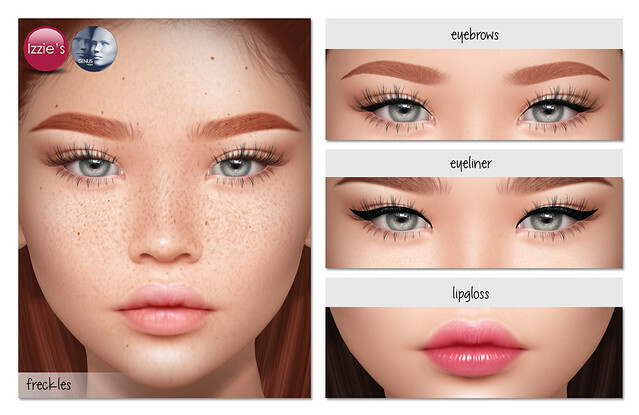 Both sets include appliers for Catwa, LAQ/Omega, LOGO/Omega, LeLutka and system tattoo layers for classic avatars. 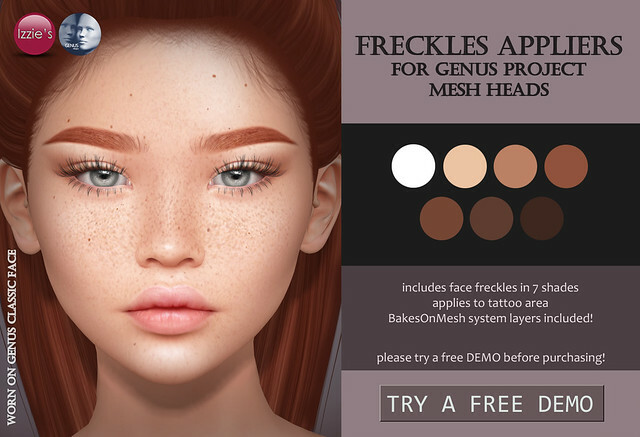 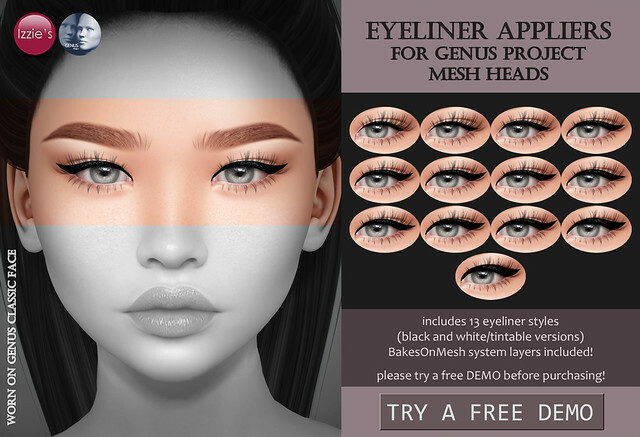 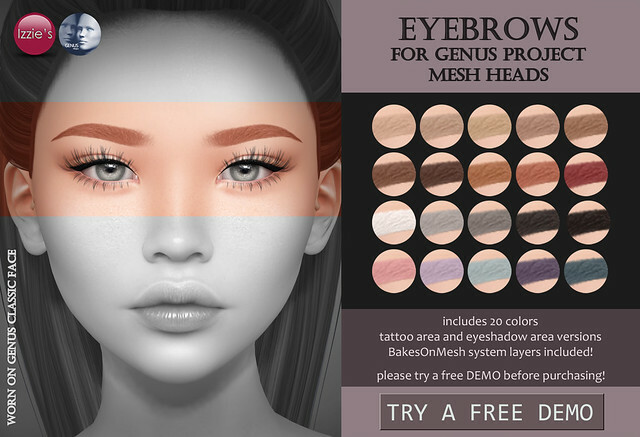 Please try free demos before purchasing, you can try them at Tannenbaum and also at Izzie’s mainstore.